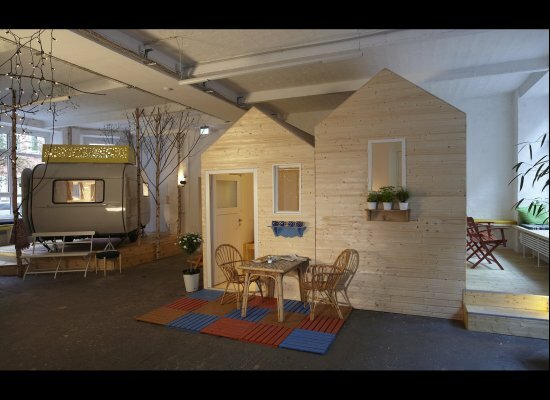 How would you like to camp in the middle of a major city, inside a building? Well, now you can in Berlin ~ introducing Hutten Palast. 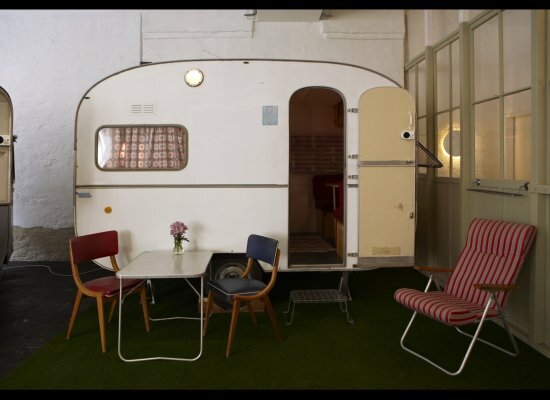 Situated in a 20,000 sq ft loft, formerly a vacuum cleaner factory, Hutten Palast now houses three refurbished campers and three cozy wooden cabins as an alternative to a hotel stay. 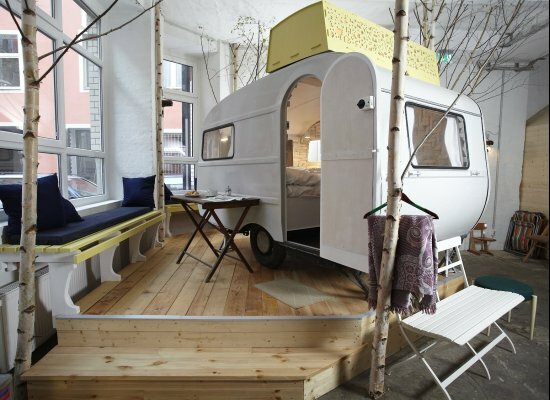 Berlin wanted to take part in the Airstream hotel craze that is sweeping the US, France and South Africa. For around $60 per night, you can ditch your typical hotel room and sleep in unique and comfortable digs. 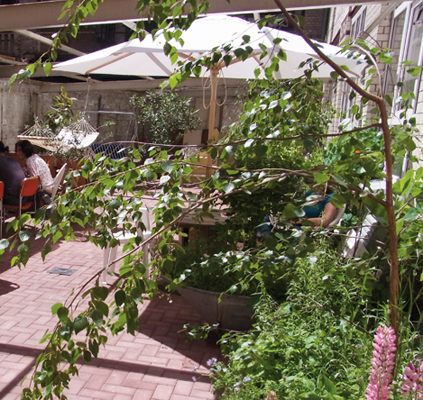 Wake up in the morning to freshly roasted coffee, croissants and even a stroll through their garden ~ that’s right, they have converted part of the loft into an outdoor garden oasis for guests. How divine! Owners Silke Lorenzen and Sarah Vollmer take pride in not only their fabulous and fun accommodations but, also in their culinary offerings. The menu in the cafe is mainly vegetarian and they source out fresh ingredients from local suppliers. 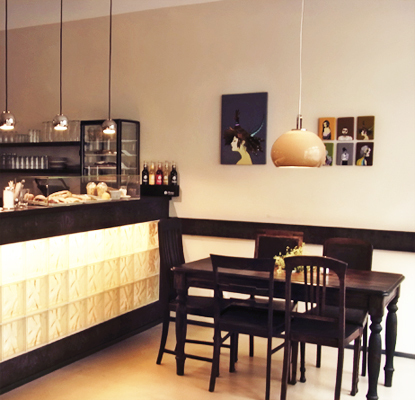 They are currently serving breakfast, light lunch and home-made cakes to patrons. Dinner is available starting this year. So, next time you are in Berlin, you must check out Hutten Palast for an overnight stay that you won’t soon forget! What a cute idea — Love it!!! (Sorry if this shows up twice) What a cute idea! Anna — how do you always find the greatest articles to share? Love it!